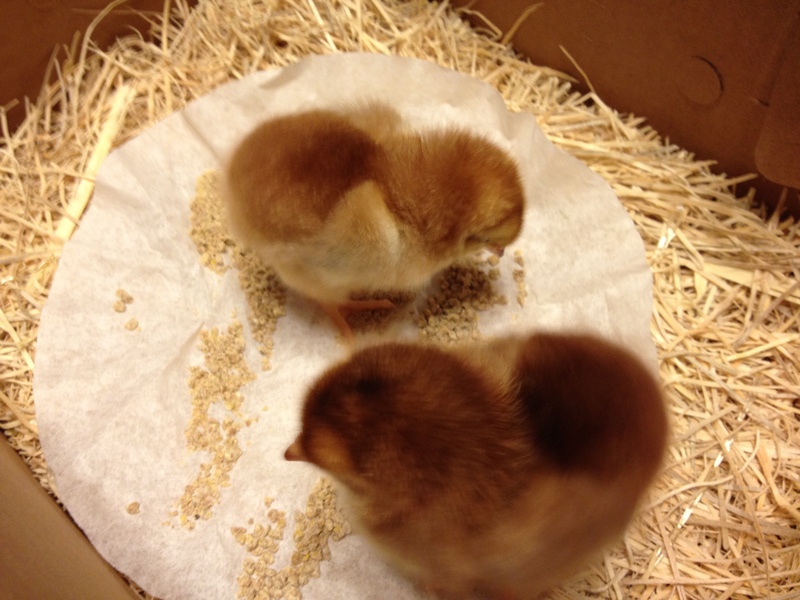 The Rhode Island Red babies I’ve been anticipating finally arrived today. They came in the mail, and I had to go down to the post office to pick them up. I’ve never had animals come in the mail before. Not sure who was more amused: me or Terri at the post office? They came all the way from Michigan. So hungry and tired and scared. Poor things! They’re so tiny! 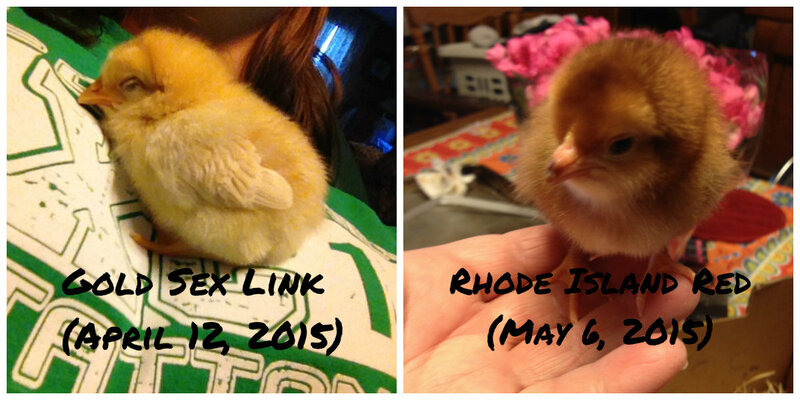 I swear, I think they are actually smaller than the sexlink babies we got back in April (when we got them, I mean). Or else I’ve just gotten used to how the Golds look now. A comparison of the wee little gold one and the wee little red one. The golds could have been a tad older, because you can see, he has more wing feathers. These reds don’t have any yet. 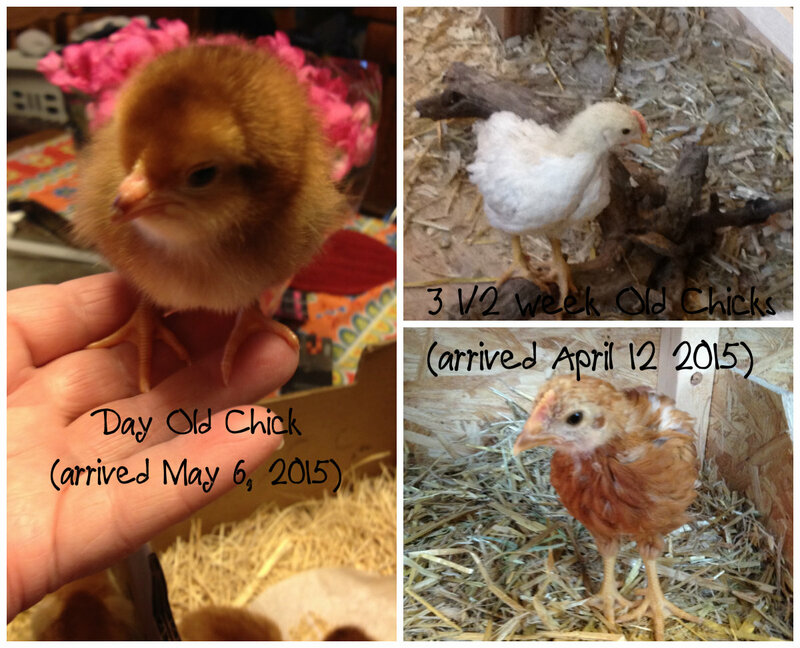 And now here’s a comparing shot of the babies and the three week olds. 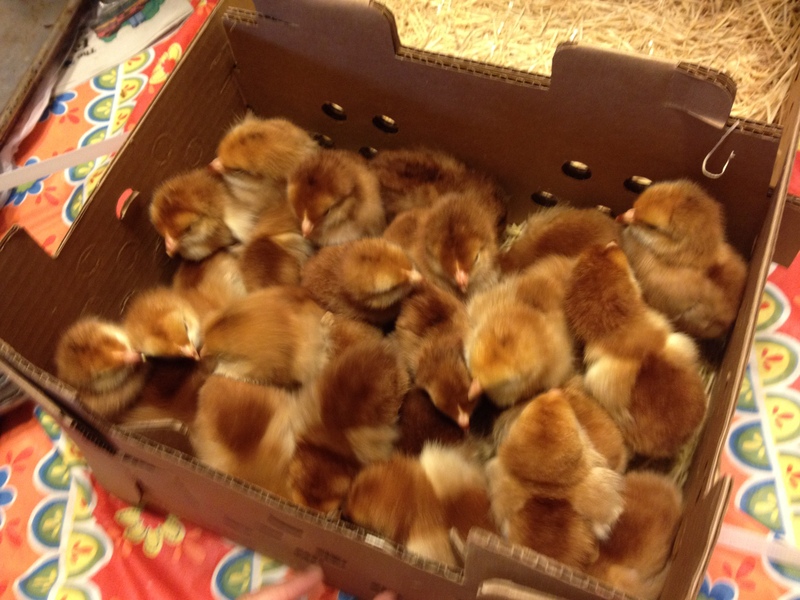 I am definitely GLAD I moved the older ones out of the box and into the coop! They’re huge compared to these little guys! Now here’s hoping that not all of these are roos, too! It seemed a bit odd to me, honestly. I thought that a delivery truck of some kind would show up in the driveway, do a shipping box with air holes was a surprise. I am glad they didn’t get hurt though! 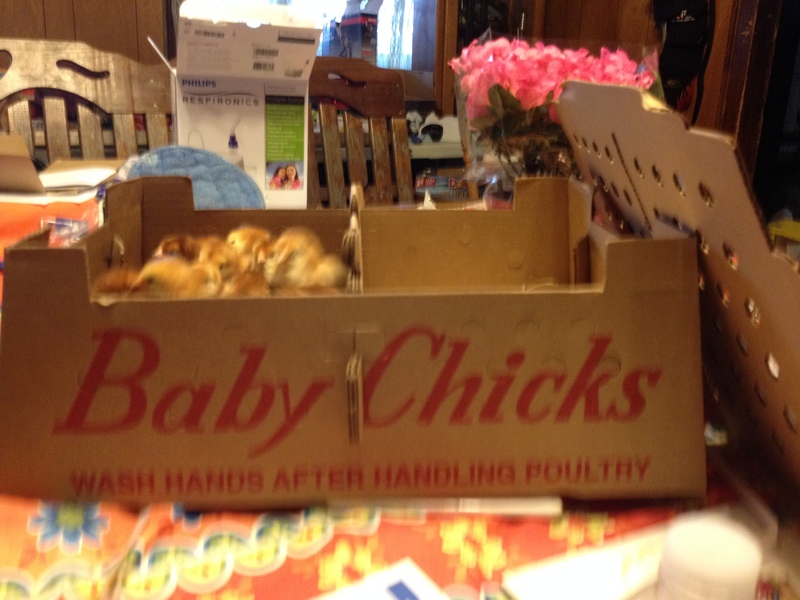 you wouldn’t have thought so if you’d heard that one little one crying so loud. 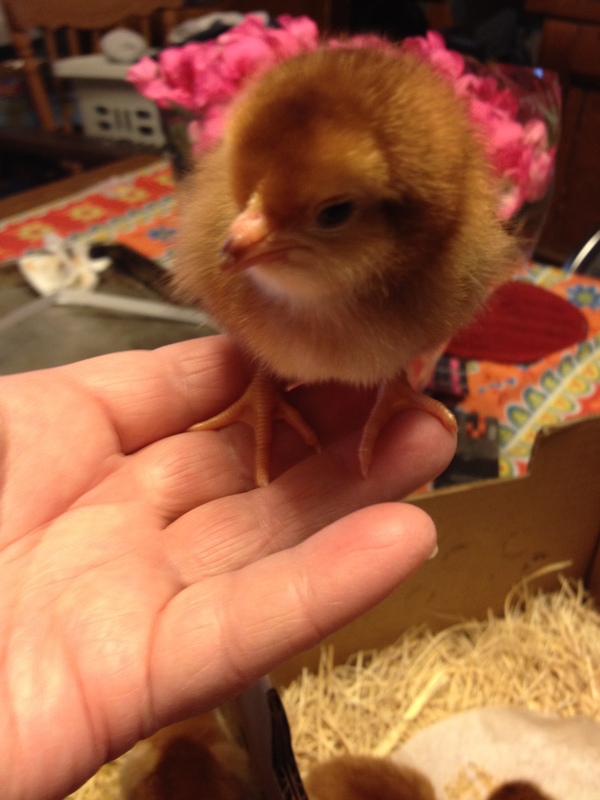 By the time the others settled down, he was still cheeping as loudly as his little lungs could handle.